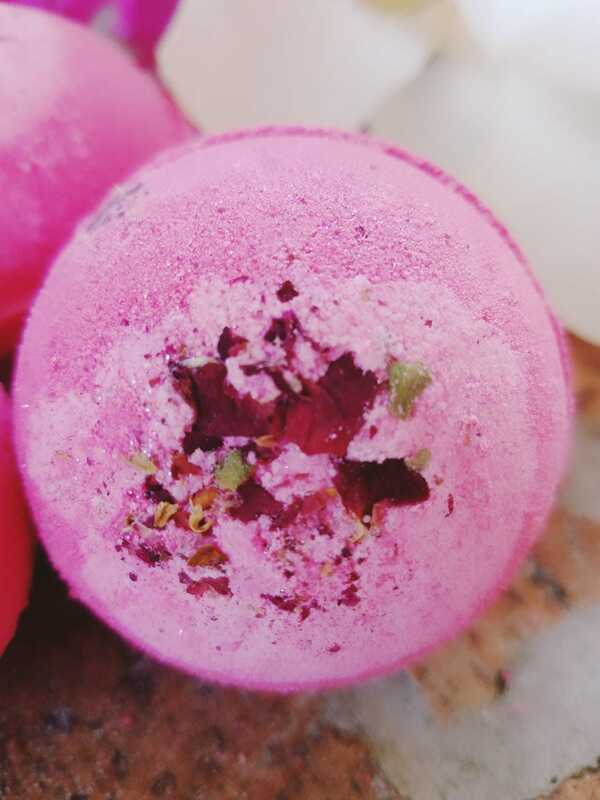 This Crazy Love, handmade bath bomb weighs approximately 4.5 oz and is roughly the size of a tennis ball. 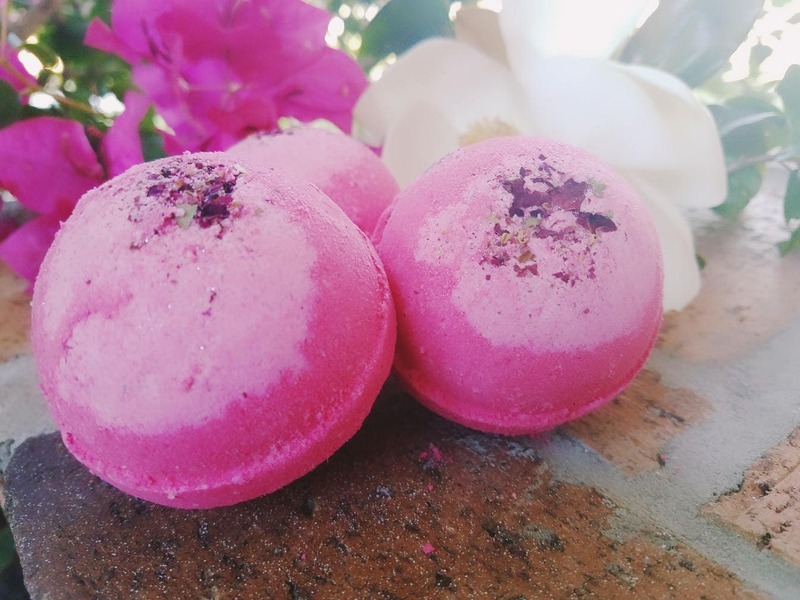 Enjoy a delightful bath soak with our amazing "Crazy Love" bath fizzy. 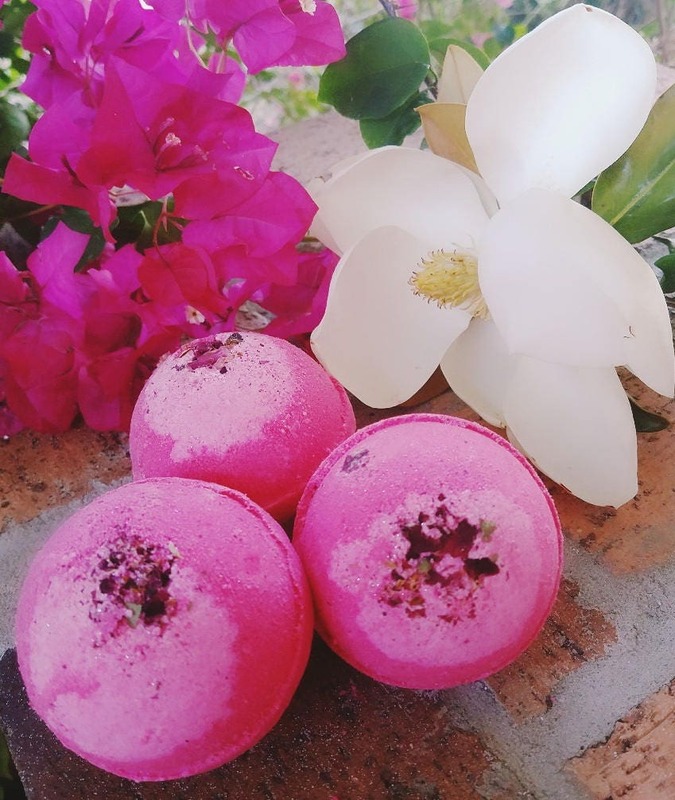 Rejuvenate your senses with the aromatherapy of fruity & floral top notes of strawberry, black currant cassis (liquer), peony, pink jasmine and tiger lily. 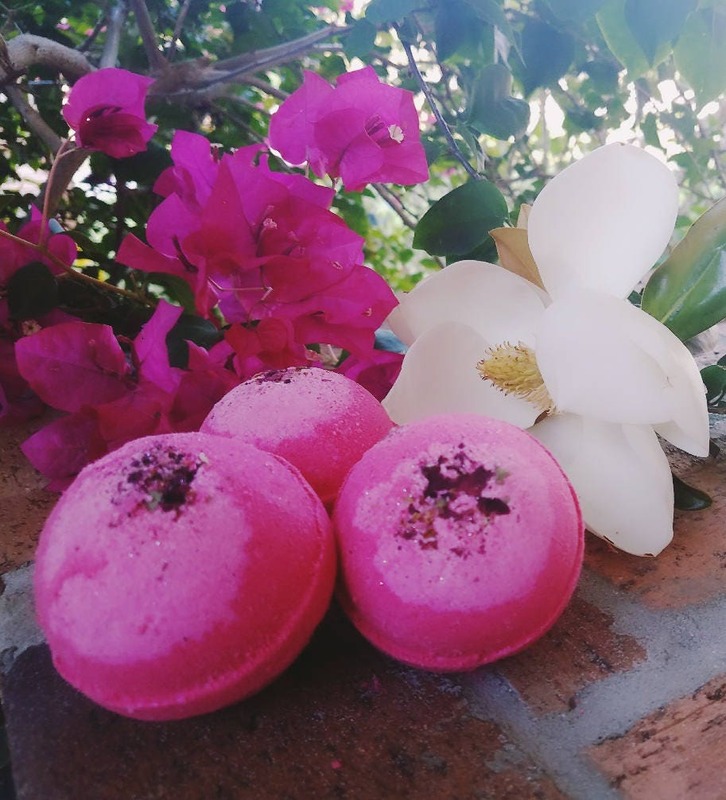 Base notes include amber wood, white patchouli, musk and vanilla. 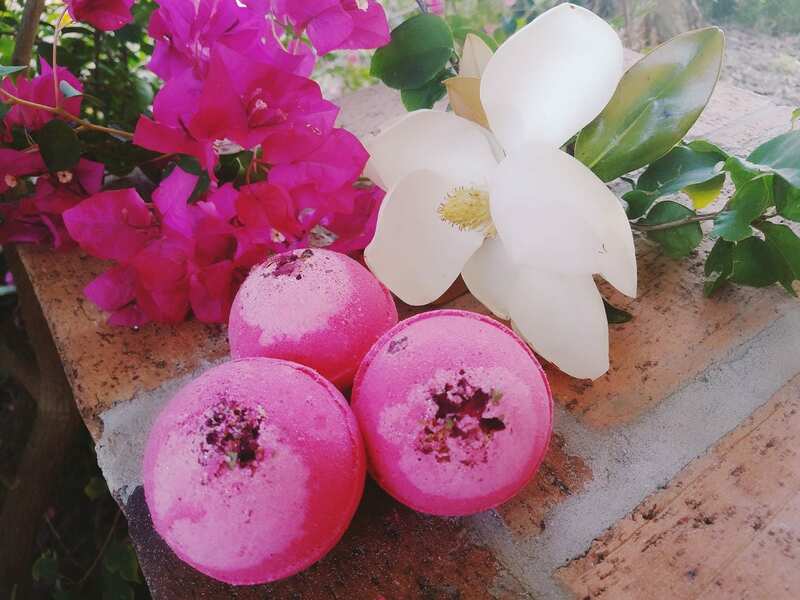 This bath bomb is neon pink with light pink accents and real dried rose petals.